I personally hate onions, but I know there are people out there who like this vegetable. 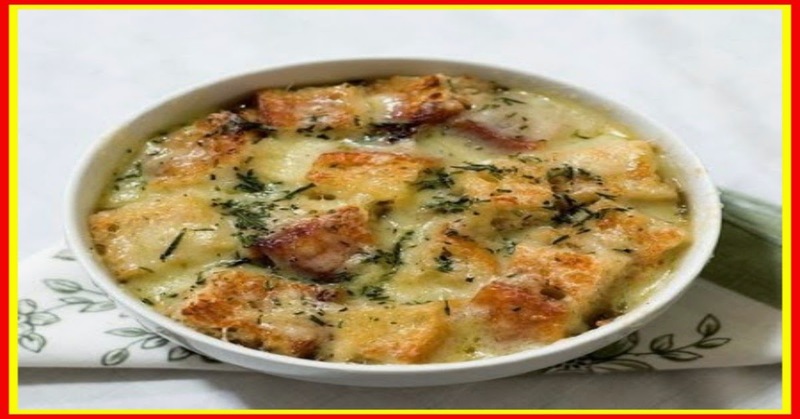 This traditional French soup recipe is for them. 1. Peel onions and slice 1/8 inch thick, preferably in a food processor. 2. Melt butter in a 6-quart (or larger) stockpot. Add onions; cook, uncovered, over low heat for 1 1/2 hours, stirring occasionally. 4. Pour in 6 cans broth and wine. Increase heat and bring to a boil. 5. Dissolve flour in remaining 1 can broth. 6. Stir into boiling soup. 7. Reduce heat and simmer slowly for 2 hours. 8. Adjust color to a rich brown with caramel coloring, season with salt. Refrigerate overnight. To serve, heat soup in microwave or on stove top. 9. If desired, pour into ovenproof crocks or bowls. 10. Top with croutons and a sprinkling of grated cheese. Heat under the broiler until cheese melts and bubbles, about 5 minutes. 11. Leftover soup can be frozen.